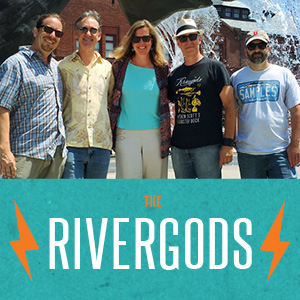 Rivergods’ singer/guitarist Nancy Parent will celebrate the release her brand new solo CD “Vision of Angels” with a concert on Friday, October 26 at All Souls Unitarian Congregation in New London, CT. The album, produced by Hugh Birdsall (The Reducers, Dogbite) and Nancy has been a year-and-a-half in the making, and features 12 original songs. The overall flavor of “Vision of Angels” is twofold – Half of the songs lean toward ethereal folk underscored by the legato bowing of violinist Dana Takaki, along with upright bass, piano and pedal steel, while the others feature more upbeat tempos and layered arrangements including drums, bass, and electric guitars. All of the songs showcase Parent’s strong soprano voice, which has been compared to Joan Baez and Judy Collins. Nancy’s lyrics are informed by her keen personal interest in social justice, women’s issues, personal relationships, spiritual reckoning and her work as a professor of women’s studies and anthropology at UConn Avery Point. Read more about Nancy in last week’s Grace Magazine (published by The Day). “Vision of Angels” CD available for purchase.